Home Acquisition What is Guerrilla Marketing? If you run a business and are looking for better ways to increase your bottom line, reach a larger customer base, and outdo your competition, you may want to consider guerrilla marketing. Guerrilla marketing isn’t a new concept but there is still some confusion about what it really is and what benefits it can have for your company. To help you figure out if this marketing technique is good for you, consider the facts surrounding it and see if it fits your needs. How did guerrilla marketing come about? 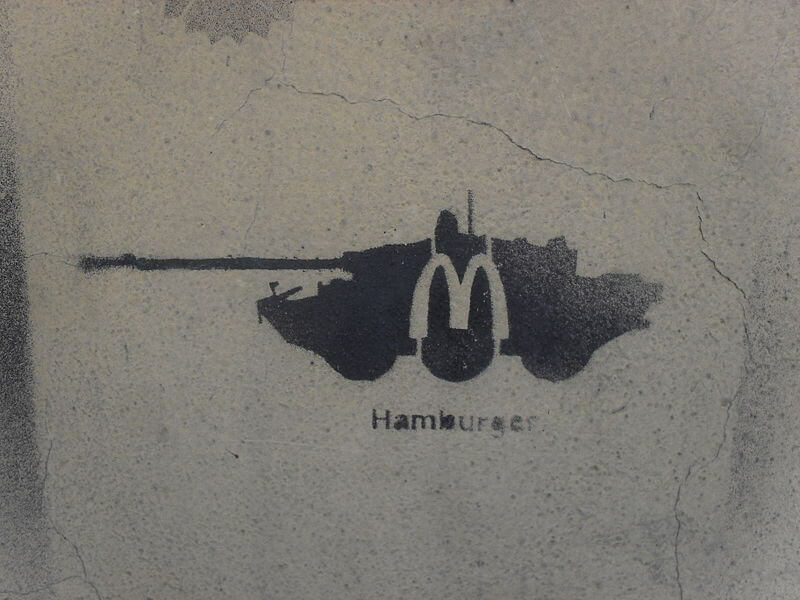 The term “guerrilla marketing” was coined and popularized by psychologist and marketer Jay Conrad Levinson in 1984 in his book “Guerrilla Advertising.” This term was inspired by guerrilla warfare, a form of irregular warfare that is related to the small tactical strategies used by armed civilians which include ambushes, sabotages, raids and elements of surprise. You could say that guerrilla marketing uses the same type of tactics but applied to the marketing industry. Before guerrilla marketing became popular large companies used to depend on large budgets and very expensive marketing actions. Small companies struggled to compete with them, so Levinson proposed using the brain instead of force or—in this case, money—to win the battle. Ok… but what is guerrilla marketing? Some call it “non-traditional marketing,” others call it “extreme marketing” and some even use the term “invisible marketing.” Although there are many definitions for this, all agree that it is an unconventional form of marketing that offers low-cost or free opportunities that can yield maximum results. It takes energy, time and imagination to surprise consumers and create a personal and memorable impression of your brand in an attempt to get them to talk about it. Surprise effect: Surprise the public by capturing their attention with unconventional methods. Diffusion effect: Expand the message to a wider audience. Low-cost effect: Minimize marketing costs by influencing a large number of people. There are multiple techniques, both online and offline, that could be included within the guerrilla marketing methodology. Here are the well-known ones along with real examples of success stories. This tactic consists of kidnapping or co-opting another advertiser’s campaign to create awareness of your company or brand. 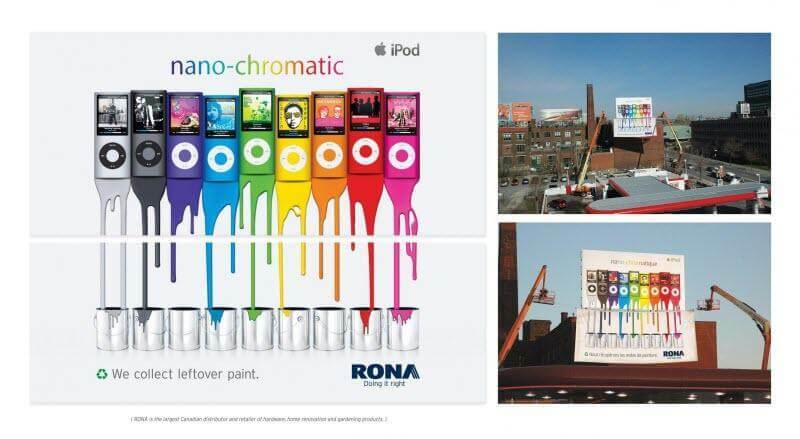 A classic example of ambush marketing is the action put in place by Rona, a Canadian paint and hardware company that took advantage of an Apple advertising campaign to gain visibility. In 2010, Apple placed an advertising panel next to the Jacques Cartier Bridge in Montreal to announce its iPod Nano line. At that time, the iPod Nano was one of the most popular MP3 players on the market. The idea was simple and brilliant and remains one of the best examples of ambush marketing. This is an advertising tactic that consists of placing a large number of posters side by side in multiple locations (mainly in dense urban areas) to attract pedestrians’ attention. It’s a cheap form of advertising that offers a high degree of exposure, especially in the entertainment industry (album releases, concerts, appearances etc.) or for local businesses. This technique was also used by the pizzeria Urban Pie in Seattle, Washington to create the appearance of a large ad by using four smaller posters and repeating the composition along the wall. This is an old technique but it is still used today, especially online. It includes actions such as product placement or branded content, widely used in film and television. It’s advertising that doesn’t look like advertising through the subtle integration of products into content without people noticing they’re placed there intentionally. The most common cases online have to do with influencers, especially YouTubers (YouTube content creators) who make videos talking about the benefits of products or services that they supposedly bought, encouraging their viewers to buy them in a subtle way by totally integrating them into their content. For example, YouTuber Jack Douglass of Jacksfilms created a sponsored video for Loot Crate called “The Worst Ice Breakers” using his YIAY (Yesterday I Asked You), one of his usual video formats in which he poses a question to his followers inviting them to leave comments on a topic and then creates a video where he collects them. To integrate the product into his video, he invited his followers to share their best strategies to break the ice. Then, towards the end of the video, he showed his new Marvel ice cube maker—the product Loot Crate sent him—in a way that fit the content and the tone of the video without seeming like an advertisement for the product. As for offline undercover advertising, one of the first brands to ever use this tactic was Sony Ericsson. In 2002, the company launched a new mobile phone model with a peripheral digital camera, called the T68i. Since it was a novel product at that time, it was difficult to promote its benefits through traditional advertising. For this reason, Sony Ericsson hired 60 actors and distributed them in 10 big cities. These actors posed as tourists, couples, and seemingly normal people. They asked strangers to help them take a picture with the new Sony Ericsson camera phone. Thanks to this, everyone began to talk about their experience with that innovative product and the T68i ended up becoming one of the best-selling mobile phones in several countries. Every day you hear about videos, tweets, photos, and similar content that spreads like a virus and reaches a large number of people in a short time. This phenomenon is closely linked to social networks which allow people to share all types of content in one click. Here, videos are the most susceptible content to be shared. According to Smallbiztrends, social videos generate 1,200 percent more shares than text and images put together. All brands, both large and small, try to find the magic recipe to create viral content every day to try to get consumers interested in their products or services. Although there is a strong component of luck involved, creativity is key. Behind the success of these campaigns, there is usually a viral marketing strategy consciously designed. A strong emotional resonance: The most effective viral campaigns usually inspire strong emotional reactions in viewers. 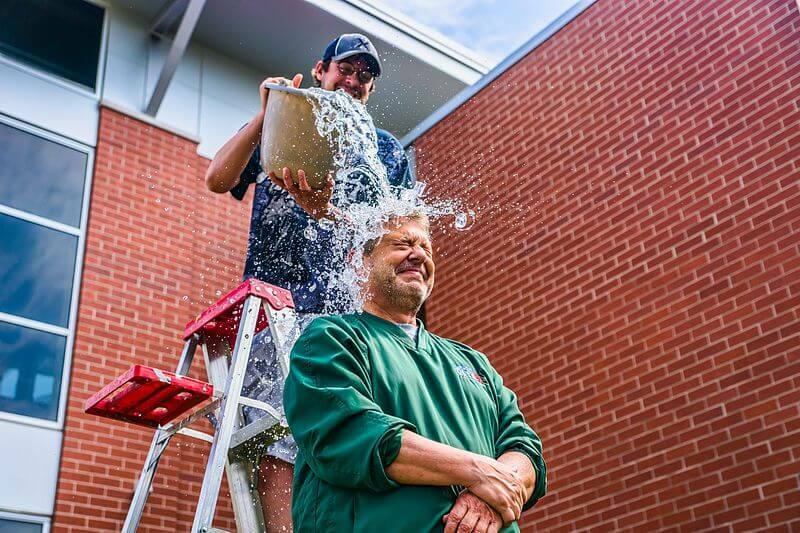 A great name or a good cause: One of the biggest viral campaigns that everyone remembers is the Ice Bucket Challenge prompted by the ALS Association in 2014 to raise awareness about the degenerative disease. The Association challenged users to record themselves pouring a bucket full of ice water on themselves and uploading the video on social media tagging their friends to join the challenge and help spread awareness about ALS. A unique vision of today: A video that shows an unconventional vision of the present, often putting the focus on social injustice, has a good chance of going viral. If you want to get people’s attention, choose a cause that matters to you and link your brand to this cause. A deep familiarity with your audience: To design a successful viral campaign, you must know your target audience very well including where they are and what they are looking for. Simplicity: Despite the large budgets that many brands invest in the production of viral videos, many of the videos that achieve this effect are made by ordinary people with their smartphones in spontaneous moments. Getting your video to go viral can be simpler than you think. Reach your audience: It’s not enough to just upload a video on social media and wait for the phenomenon to happen. As Olenski says, “nothing goes viral on its own.” You must direct the message to your audience so they can share it. This can be done through paid social media ads, SEO, ads on the Google Display Network, or other techniques that can help you get your content to the right people. Just give it a little push. This marketing technique consists of choosing a public space where there’s a large influx of people and transforming the space to transmit your advertising message through it. It’s about placing an ad in an unusual place where people would not normally see an ad. With this type of marketing, the idea is to provoke a reaction of surprise and curiosity in people. 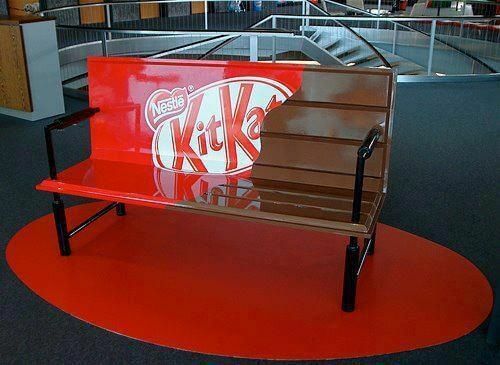 For example, Kit Kat transformed a bench into a Kit Kat chocolate bar in a shopping center to attract people’s attention. 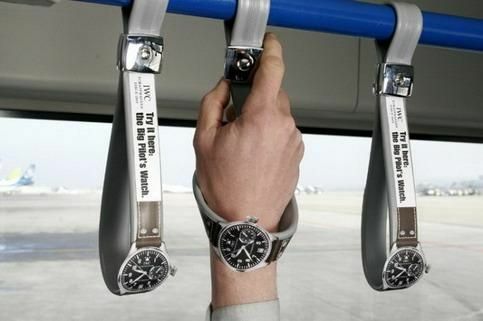 Also, IWC, a luxury watch brand, used this technique by incorporating custom designed handles on buses so users could see how the watches look on their wrists. This tactic is about giving your target audience an experience instead of just sending a one-way message. In this way, your audience can interact with the product or service you offer and associate their emotional responses with your brand. According to a study carried out by Event Marketing Institute, 65 percent of the brands that use this tactic say it correlates positively with sales. Although experiential marketing usually takes place in person like in sponsored events or commercial spaces, its impact is often reflected in the digital world since people often share these experiences on social media. According to an Event Marketer survey, 98 percent of consumers create or share social or digital content of sponsored events or experiences. For example, the toothpaste brand Sensodyne wanted to launch one of its products in a memorable way. Together with the English agency Hotcow, they decided to launch an experience that lasted a whole day in a London park. They built an installation with three differentiated zones. Zone 1 was called Sensitivity Zone and offered a 10-minute dental sensitivity test performed by professional dentists. Participants were eligible for prizes by participating in a game called “How sensitive are you?” which involved passing a metal ring through metal wires without touching them. In Zone 2, a 13-foot-tall molar was installed to encourage visitors to take pictures with it and publish them on their social media profiles. 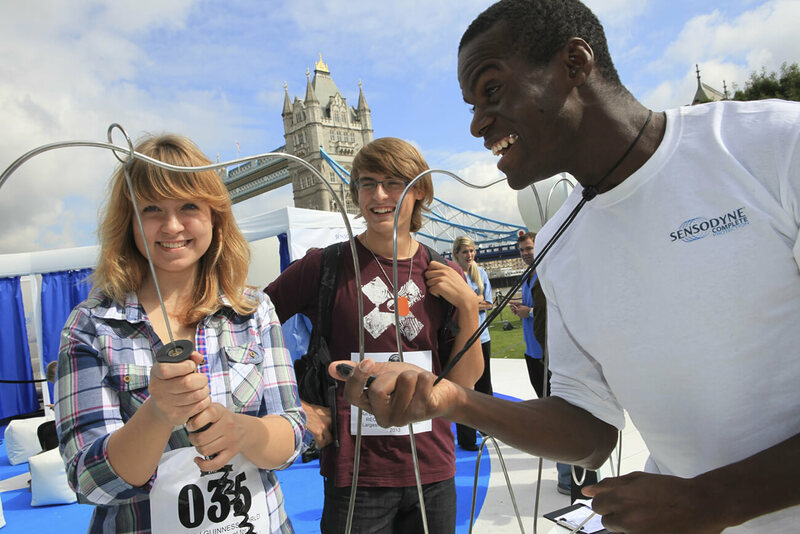 Zone 3 was an attempt to achieve a Guinness Record by giving the world’s largest oral hygiene lesson. It involved 232 people who left with a wider knowledge of oral care. The result was 150 mentions in the media, a reach of more than 4 million people, distribution of over 6,000 Sensodyne samples and the administration of 200 dental sensitivity tests. A strategy that without a doubt led to a successful campaign that significantly increased the visibility and recognition of the brand. According to a study by Capgemini, 82 percent of consumers always buy from a company who they are emotionally invested in and 81 percent of customers who are emotionally connected with a brand will share it with friends and family. Many of the tactics employed in guerrilla marketing seek to create this emotional connection. While the best-known examples always appear to be large brands with large budgets, the reality and the philosophy of guerrilla marketing is that it’s not always necessary to invest a lot of money to get attention. Sometimes a small low-cost idea with a different perspective and a potential of medium-high success can bring great benefits to your SME. The essential ingredient here is creativity, not money. Creativity comes from knowledge. You must have knowledge of your own product or service, your competition, your target audience, your marketing area, the economy, current events, and the trends of the time. With this knowledge, you’ll have what it takes to develop a creative marketing program, and you’ll produce creative marketing materials. 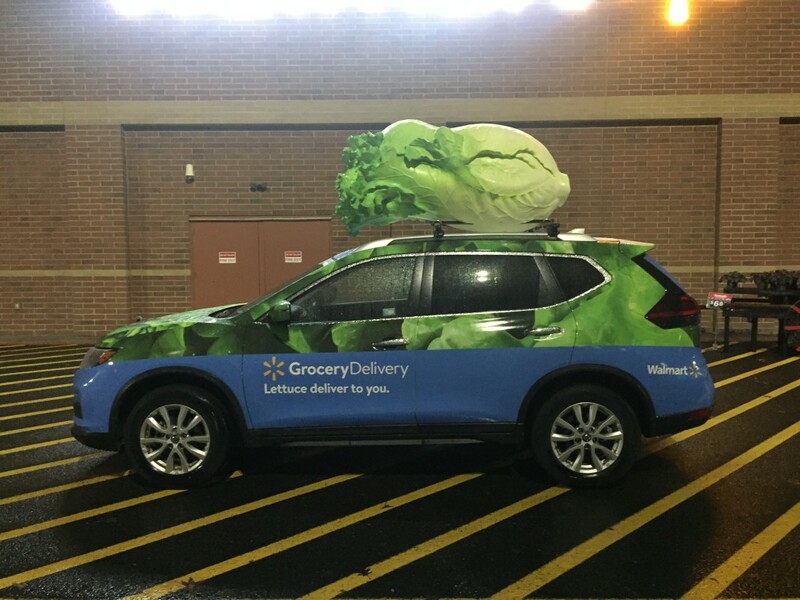 Did you like this article about Guerrilla Marketing? If you want to discover more marketing strategies, take a look at our 10 Creative Black Friday Marketing Strategies for Small Businesses and create the most prolific sales campaign of the year.